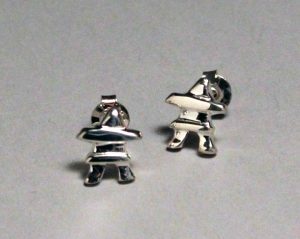 Nuqingnaq taught the jewelry course at Nunavut Arctic College before opening his own studio. Here, he makes his own creations as well as welcoming visiting artists to work at one of the ‘benches’. He focuses on how to use non-traditional materials (i.e. 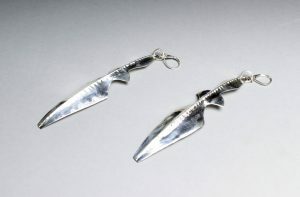 silver, copper) to produce Inuit sculpture and jewelry. He is one of the six artists that created the mace for the birth of the Nunavut government. Nuqingaq is also an accomplished performer who receives annual invitations to international festivals and celebrations. Co-founder and past chair of Nunavut Arts and Crafts Association, Nuqingaq is on the Board of Directors for the Inuit Art Foundation.